California is all about that Boho vibe. The weather, the palm trees, the surfers and their laid back attitude. Then there’s Coachella. That time of year in Indio, California where the epitome of California fashion has its own catwalk on the polo fields. The festival is equal parts music and fashion. Most likely the inspiration for this style is a combination of all of the above. Even the queen of blogging herself, Italian beauty Chiara Ferragni has adopted this style since moving to LA. The Italian fashion blogger from The Blonde Salad has changed her high fashion ways for crop tops and vintage high-waisted denim shorts. Of course when she attends Paris and Milan fashion weeks she is all decked out in European high fashion but her everyday style is definitely that 70’s California vibe. Moving to LA from the East Coast I had a lot to learn. My style is definitely not bohemian but I am starting to embrace the California way. This dress was a perfect mix for me. Being a new mom crop tops, short shorts, and fringe skirts just don’t seem as appropriate for me these days. 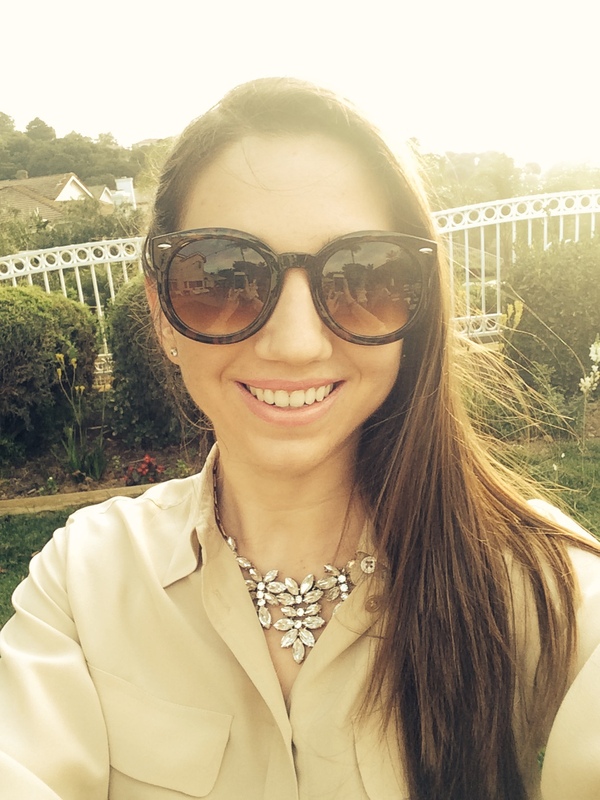 Rather than being discouraged, I look for items that incorporate the trends but suit my personal style as well. Time to enjoy that beautiful California sunshine!! I hope you have a wonderful weekend!! 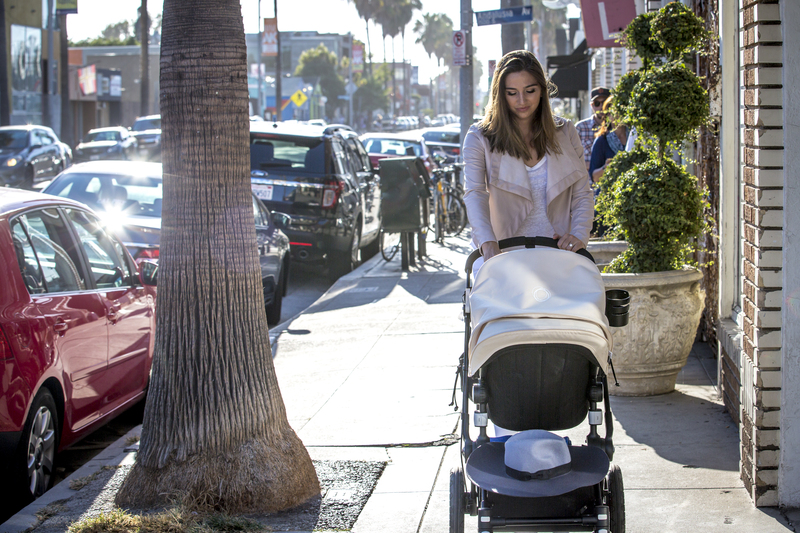 I’m always on the lookout for great baby products. One of the first items on my baby registry were my Dr. Brown’s bottles. Since I had to go back to work part-time after 2 months of maternity leave I knew I needed to get Carlota comfortable with bottle feeding. 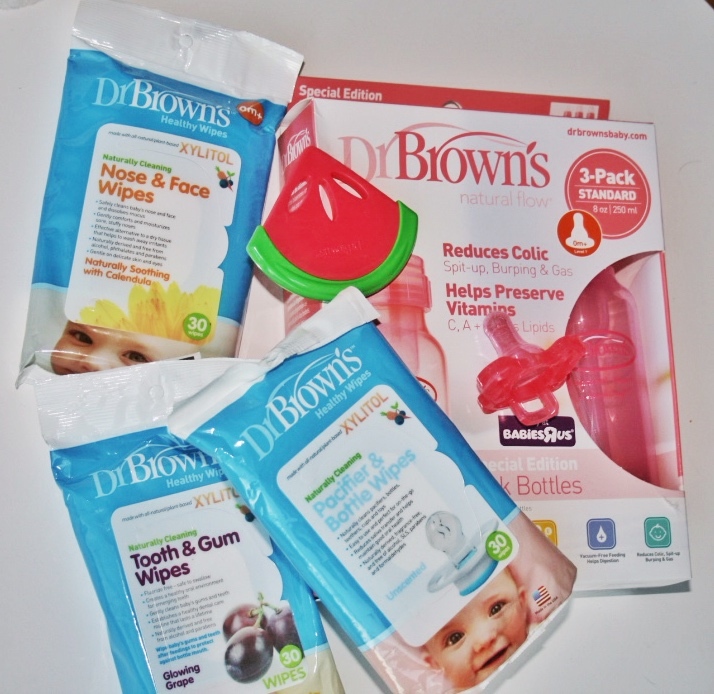 When it came time to choosing a brand, I knew Dr. Brown’s natural flow was the one for us. 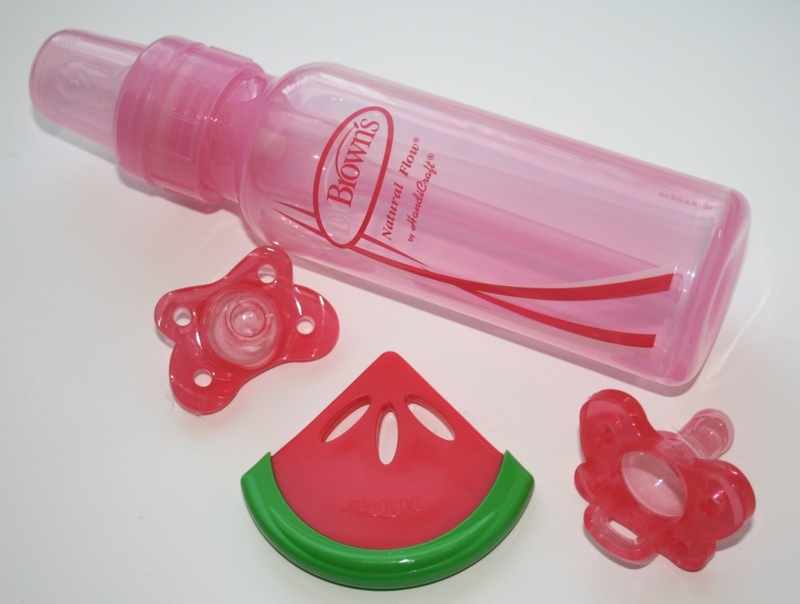 Dr. Brown’s bottles are well known to help reduce colic, spit-up, burping and gas. They also help preserve Vitamins C, A, E and lipids, key ingredients for a healthy development. Something I learned is that their vacuum-free feeding helps digestion and the fully vented bottle design is the closest to breastfeeding. Thankfully Carlota has taken to these bottles with ease. I’ve been so happy with their bottles that I was excited to venture out and try some of their other products. 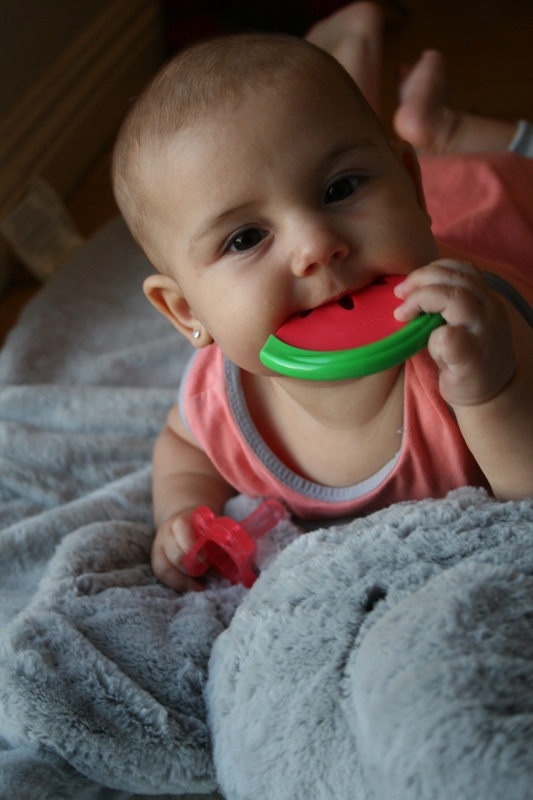 Carlota is a teething monster and will chew on my fingers any chance she gets. This girl is not gentle when it comes to finger chewing, so finding alternatives are on the top of my priority list. 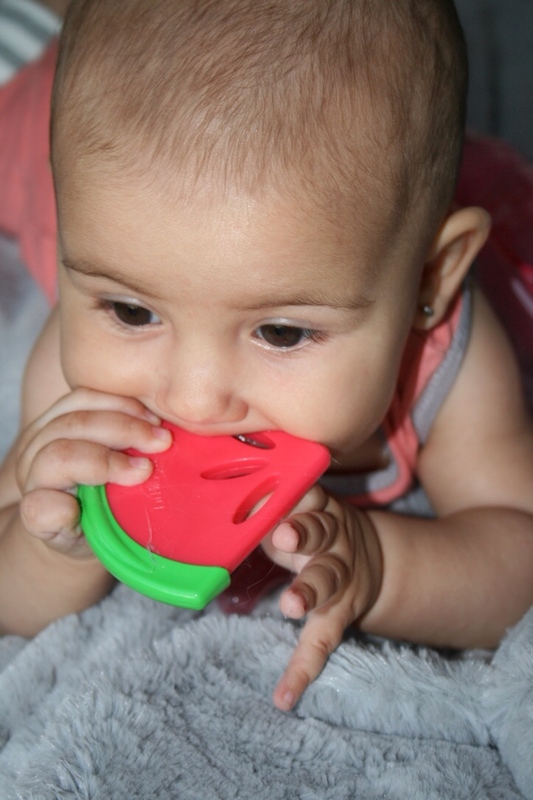 Thankfully she loves the Watermelon Coolees Soothing Teether, by Dr. Brown’s. Designed by a Pediatric Dentist and approved by little Miss Sunshine. It’s a two thumbs up from me. I am also very excited about these wipes because anyone with a little one knows how often they are needed. Carlota is constantly dropping her chew toys or pacifier. When you are out and about it’s not easy to constantly clean them. Having wipes in my diaper bag are a lifesaver. They also make Nose & Face Wipes, and Tooth & Gum Wipes. The best part about all the wipes is that they all contain xylitol. Being a dentist myself, I know of the importance of this ingredient. Xylitol is a sugar that cavity causing bacteria can’t metabolize. This means that it helps to reduce the amount of that bacteria in your mouth. This will be very important for when her teeth start to come in. I always recommend xylitol candies or gum to chew after meals to my patients, especially if they are at a high risk for cavities. I am happy to be partnering up with Dr. Brown’s and offering one of my readers a gift pack of everything pictured here. This includes a set of Dr Brown’s Natural Flow bottles, a Coolees Soothing Teether, Silicone Pacifiers, Pacifier & Bottle Wipes, Teeth & Gum Wipes, and Nose & Face Wipes. 1) Comment below and let me know what is your favorite Dr. Brown’s product or what you are most excited to try out. 3) For a 3rd entry follow me @withloveandrea and @drbrowns on Instagram and follow the instructions posted there. Your chance to enter starts today September 9th and will close Saturday September 12th at midnight PST. 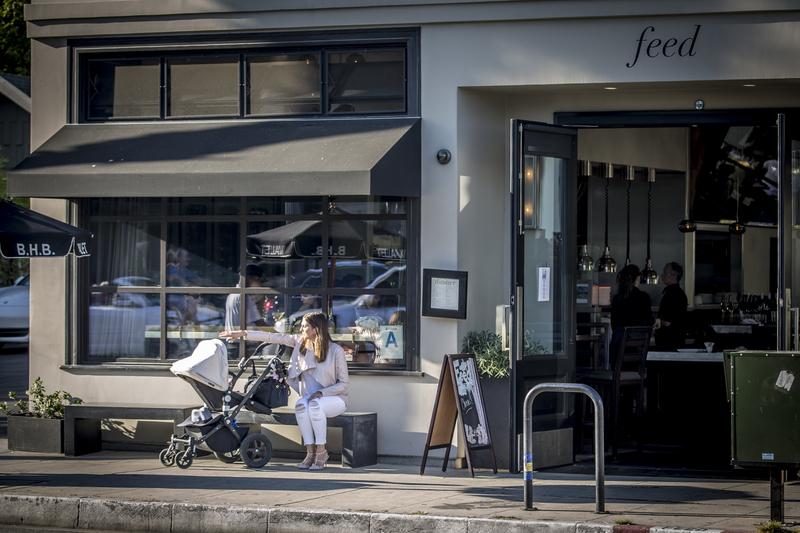 I adore LA for its diversity and get excited when we venture into areas we don’t frequent very often. 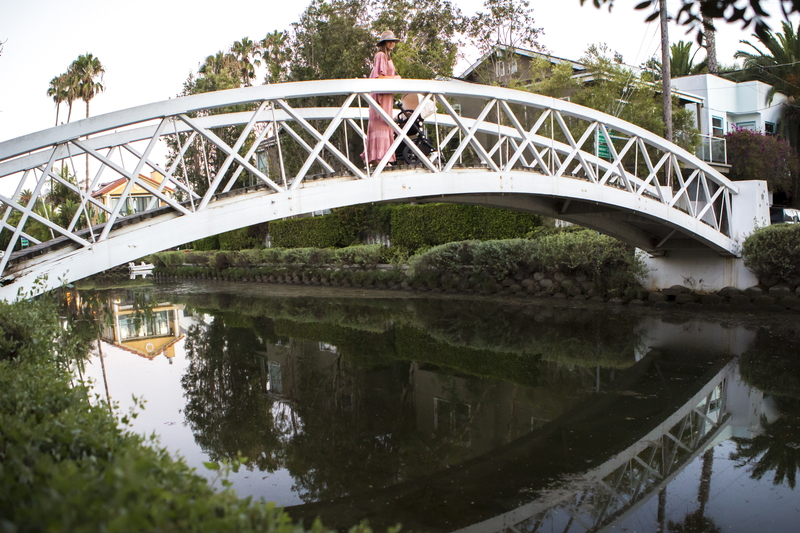 The Venice Canals are one of those beautiful places. It’s such a gorgeous tranquil area nestled in the city. A perfect spot to visit on a day with my babe. Since Carlota has passed her 4 month leap she is a whole new baby. She enjoys going on walks and finally is a happy girl when in her stroller. 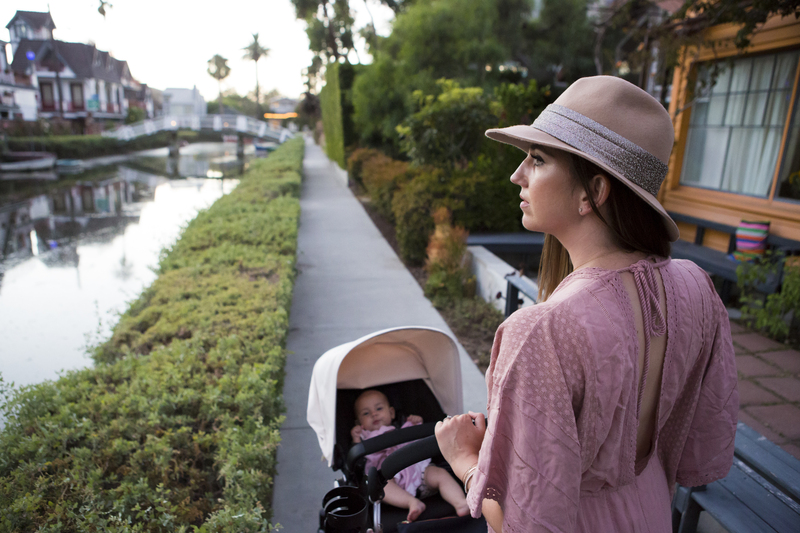 I love exploring new neighborhoods with her, and watching as she takes in the world around her. I can’t wait until Carlota is old enough for me to show her this blog and the journeys we have taken together. One of my favorite summer pieces has been this floral kimono from Shop Pink Blush. I love the soft and airy feel it gives any outfit. I usually pair it with a simple white tee and jeans. Adding it to my usual mom uniform makes me feel little more glamorous. It’s such a versatile piece. I’ve used it as a beach coverup, worn it for a day in the park, a night out with the girls etc..